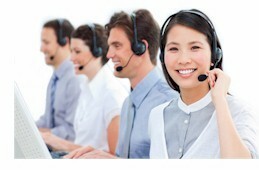 DSC provides the technology and products that can improve the productivity of your call centers. DSC does not provide live call center operations. Our contact center phone system and CRM telemarketing software can streamline your operation while providing controls and consistency in your contact management process. The following list of organizations that according to their website descriptions provide live call center services. Database Systems Corp. is not affiliated with any of these organizations nor does it promote or endorse the products and services of these companies. This is simply a list of websites of financial services companies.